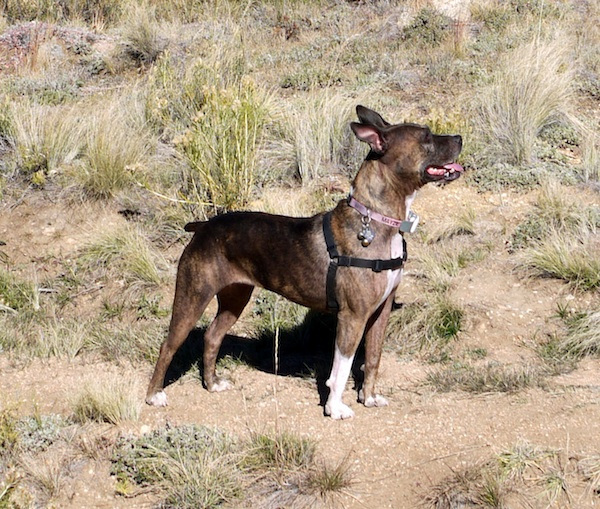 My dog Mayzie was rescued by Second Chance Animal Rescue in Colorado. At the time, she was approximately two years old and had spent her entire life at the end of a rope in someone’s backyard. She had little food and water and only the frame of a drawer for shelter. 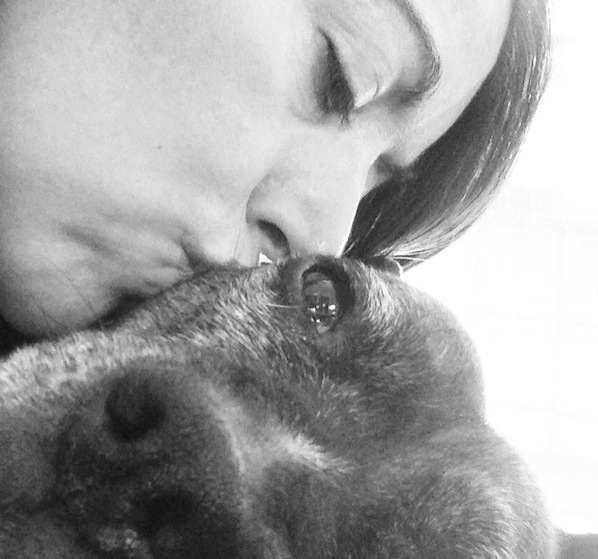 To our knowledge, she had never lived in a house until she went to live with her foster mom. When we adopted her two months later, we knew her history and that she was a “sensitive” dog. But beyond that, we really had no idea what we were getting into. Truth be told, I’m not sure we could ever have been prepared for the enormous project we were undertaking. Today, though, with a lot of hard work, patience and cheese therapy, Mayzie is a happy, funny, confident dog. Sure, there are things that still scare her, but she now has the tools she needs to deal with most things that come her way. But, oh, I remember how challenging those first few days, weeks and years were. And I realize now that while there are many resources out there on how to help a fearful dog, they generally don’t prepare the human for the unique challenges and rewards that come along with it. So if you’re just starting your journey or have been at it for a while, here are some tips to help your fearful dog. Mayzie was a fearful dog when we adopted. Photography courtesy Amber Carlton. Humans seem to be hardwired to want to get someplace by the shortest, most direct path. 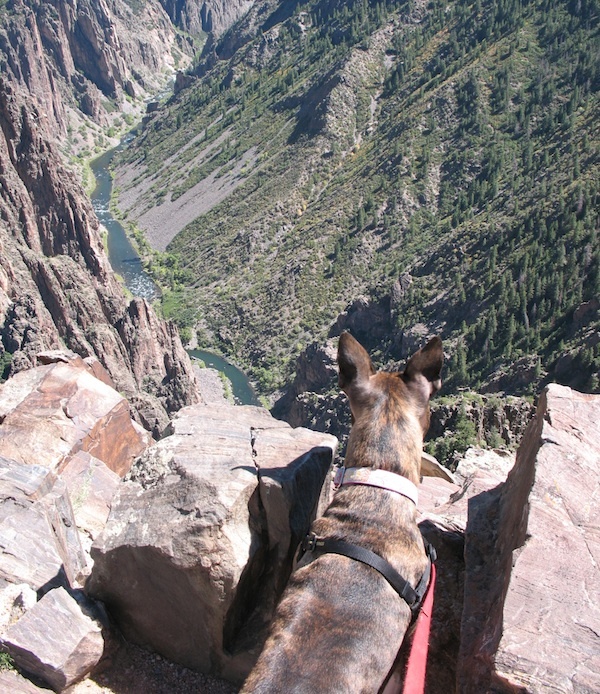 When it comes to working with a fearful dog, however, it’s best to accept that you’re going to be taking the scenic route. You should prepare for setbacks and breakdowns, and you may have to take an alternate route every once in awhile. The fact is, setbacks are going to happen and they’re perfectly normal when it comes to our fearful dogs. But that doesn’t mean you’ve failed. Even in the worst case scenario, you’re likely not going to go back to the place you started. If you stay the course, you’ll be gaining ground and moving forward toward your goal. So when detours happen, acknowledge them but don’t let yourself be discouraged by them. After adopting Mayzie, I became hypervigilant about everything around us. What were the potential triggers on our walks? What might cause her to fly into a panic in the house? Frankly, it was stressful because it seemed that Mayzie’s many boogeymen were always lurking just around the corner. But then I slowly began to realize something: I was seeing things in a way I never had before. Maybe the flowers in one of my neighbor’s gardens had begun to bloom. Or maybe another put up a new fence. And, wow, I never noticed that beautiful weeping willow down the street before. Once I began looking at the world through Mayzie’s eyes, I not only helped her, I received the gift of appreciating the world around me in a whole new way. One morning on our walk, Mayzie stopped dead in her tracks and backed up several steps, her body low to the ground. I immediately became extra alert. What threat had I missed? Then I saw it. After a hard rain the night before, a large dahlia bloom had dropped onto the sidewalk and into our path. Any other dog wouldn’t have even noticed. Not Mayzie. This was new and different, and in the past it might have sent her into a panic to get away. I stood still, studying her for clues on the best course of action. As I watched, she slowly crept her front legs forward, her neck outstretched, while somehow keeping her back legs poised for flight. Closer and closer she inched until she was finally nose-to-bud with the flower. As soon as she sniffed it, all tension released from her body. “Duh, mom, it’s a flower! And you were so scared,” she seemed to say as she trotted happily away. To anyone else, it might have seemed inconsequential. But to me it was another example of how far this fearful dog had come. I smiled all the way home. About two weeks after we adopted Mayzie, we had a really, really bad day. Everything that could go wrong, did. I was at my wit’s end and felt completely in over my head. As my husband and I climbed into bed, I broke into sobs and blurted out, “I don’t know if we can do this! Maybe we should give her back to the rescue.” I shocked even myself by saying that. I was raised to believe that an animal, like a child, is a lifetime commitment, but I was tired and frustrated and simply didn’t know what to do. My husband looked me in the eye and said, “She’s ours now and we’re not giving up on her. You’ll feel better after you’ve slept.” And you know what? He was right. I woke with a better outlook and renewed determination to help my dog. That wasn’t our last bad day, by any means, but I was better prepared for them in the future. Mayzie happy and out on a hike! Photography courtesy Amber Carlton. Five years ago, I never would have believed where Mayzie is today. Never. I couldn’t have conceived of a reality where she would love to go for walks or that I could flip on the ceiling fan without a second thought. Yet here we are. Some days/weeks/months, it felt like we were making no progress at all. But looking back on it, I realize that things were getting better even if it was hard to see at the time. One of the best pieces of advice I got was to start a journal to keep track of progress. I started a blog. You might prefer a notebook. But whatever you do, write it down. It’s so helpful on the difficult days to read about how far you’ve come, how much progress you’ve made and how it really has gotten better. I can’t even begin to count all the hours and money I’ve invested in helping Mayzie become the dog she is today: happy, healthy and with a full, rich life. Is she “normal” (whatever that means)? Well, no, I guess not and probably never will be. She was too far behind the eight ball to ever catch up completely. But every minute and every dollar I’ve spent have been worth it. All the work we’ve done together has created a trust and a bond that is rare and unbreakable. It’s been an amazing, challenging, crazy roller-coaster of a ride, and I’d do it all over again in a heartbeat. If you have a fearful dog, remember that it gets better! Photography courtesy Amber Carlton. Your turn: Do you have a fearful dog? What has been your biggest challenge or reward? Tell us in the comments! About the Author: Amber Carlton is owned by two cats and two dogs (all rescues), and is affectionately (?) known as the crazy pet lady amongst her friends and family. 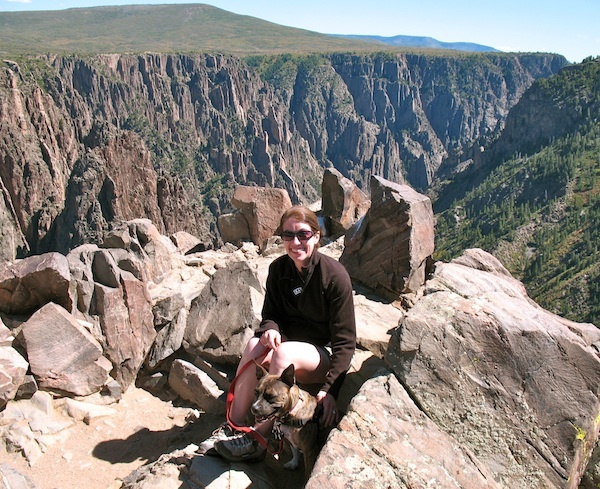 She and her husband (the crazy pet man) live in colorful Colorado where they enjoy hiking, biking and camping. Amber is a freelance copywriter and blogger for hire and also acts as the typist for her dog’s musings at Mayzie’s Dog Blog. She encourages other crazy pet people to connect with her at her business website, on Twitter or on Facebook. The post 6 Things to Remember When You Have a Fearful Dog appeared first on Dogster.